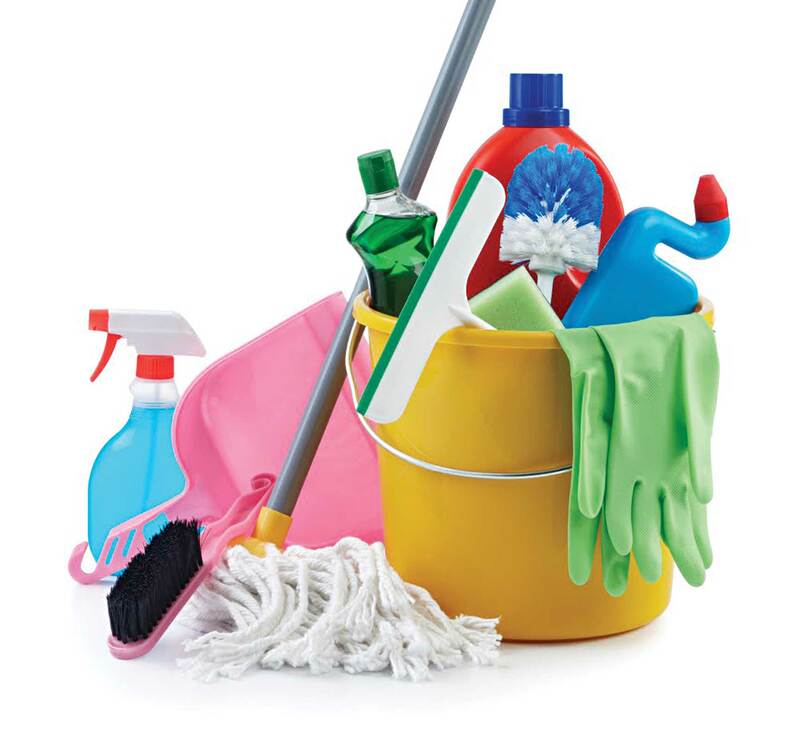 Cyber Spring Cleaning! Don’t Forget Your Wireless Router! As the weather warms up articles to remind us about cleaning up our devices, online accounts, making backups, and changing passwords are sure to show up, but don’t forget to add your wireless router to this list. Over time the wireless environment may have changed and the number of devices connecting to the network has increased and you have noticed a decrease in the performance. I have listed some items to check to either improve the performance or security of your wireless network. Electronics age fast and if you’re still running an 802.11g router it is time to upgrade. Look for an 802.11n protocol wireless router or get the latest and greatest 802.11ac router and be ready for the next wave of wireless devices. Either way you’ll notice a performance boost and the router won’t create a bottleneck in the network. While not as often as Windows or Apple software updates a routers software called firmware does get the occasional update. Firmware could add functionality, patch bugs, or add security features. When you log into the routers management interface look for the firmware section to verify the current version and download any available updates. The firmware update could take several minutes to complete and at some stages you may think nothing is happening, but do not power off or restart the router during the update since this could brick the device! This could be more technical than most people can understand, but wireless networks can run in the 2.4 GHz and 5 GHz bands. Most home wireless networks use the 2.4 GHz band and along with wireless networks the 2.4 GHz band has signals from microwaves, cordless telephones, baby monitors, and other home devices making it very crowded. With the 2.4 GHz band being so crowded there are interference issues that can affect performance of the wireless network. Setting up the wireless network in the less used 5 GHz band will result in less interference and better performance. Whether you’re wireless network runs in the 2.4 GHz or 5 GHz band things around you may have changed since the original setup and a quick scan of the neighboring networks may show channel interference. Scanning utilities such as InSSIDer or WiFi Analyzer will offer a snapshot of the wireless networks in range along with channel usage. 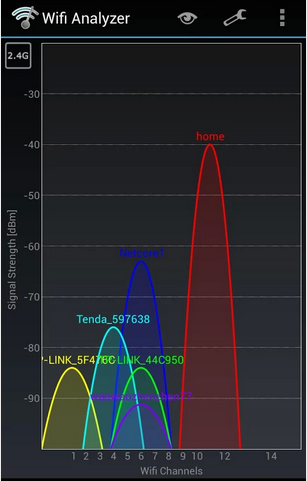 As mentioned the 2.4 GHz band will be very crowded and channels 1, 6, and 11 the most heavily used. The best option is to move the network to the 5 GHz band, but if you stay in the 2.4 GHz band move the network to a non-used channel, but know that interference from adjacent 2.4 GHz channels can still effect performance of the wireless network. If your still using WEP for wireless security it is time to update it to WPA2. WEP was cracked long ago and many utilities to crack WEP are freely available from the internet. When selecting the WPA2 Passphrase don’t use a common dictionary word, your pet’s name, your phone number, keyboard pattern, ect… For the best security a completely random 20 plus character WPA2 passphrase should be used. For further advice on selecting a secure WPA passphrase please read my earlier blog post. WiFi Protected Setup (WPS) or push and connect security has a known security flaw and should be disabled in the routers management interface. Even if you’re not using WPS to connect and secure devices to the wireless network it could be enabled by default and needs to be disabled manually. It is recommended to change personal passwords regularly so include your wireless passphrase to that list and make sure to change it at least once a year. For further advice on selecting a secure WPA passphrase please read my earlier blog post. If people come to your house and ask to get on the wireless network it might be time to set up a separate guest network. It is not a good idea to hand out the WPA2 code for the main wireless network to everyone and having the guest network and traffic isolated from the main network is preferred. Many home routers allow multiple networks or enabling the guest network. You can also use a second router for the guest network, but make sure the routers are physically 10 feet apart from each other, and use enough channel separation to eliminate interference. Do assign a simpler WPA2 passphrase on the guest network so you’re not broadcasting an open network that anyone can connect to. Disabling slower protocols basically disables slower network speeds and can improve performance of the network. If your router and devices support the 802.11n protocol then disabling the 802.11g and 802.11b protocols will keep those devices from connecting and causing the network to communicate at those slower speeds. So don’t run over to the wireless router with the feather duster or throw it in the dish washer, but if the network seems sluggish or not running as smoothly as it once was there are some things you can do. Check the user’s manual or the router manufactures website for extra help and tips to set up or configure the router. Thanks for reading and post any comments or questions below. I may not be able to answer specific router questions, but I can try to respond with a link or site URL for extra help.